Art of Giving – How, When and How much Should I Give? This time, it was during one of his Satsangs when Acharya ji spotted me having an “Aha Moment” as a story was being narrated by our beloved Master Ji. Smilingly, he asked me to write about it. Hopefully, by the time I reach the end of this writing, I would understand the motive of his nudge😊. A newly-wed girl was very disappointed with her father-in-law’s refusal to part with any money for a needy person at the door. Angry and disappointed, she turned towards the stranger and said, “whatever my father-in-law has, it is from his past lives, he hasn’t earned anything in this lifetime, so he does not want to give away anything.” This didn’t go too well with her father-in-law and he threatened to annul his son’s marriage with her. The girl was not only spiritually aware but also had the wisdom and strength to handle a tough situation like this. She agreed to comply with her father-in-law’s wish provided the family declared it in the presence of all the guests who attended their wedding. Her stance caught everyone by surprise and they mellowed down. Perhaps the father-in-law realized his folly and chose to let the incident pass. Now almost a decade has passed and the family is not only together but truly charitable. To bring about such a change in the family’s attitude is definitely the power of being on the path of Truth coupled with self-conviction rooted in true understanding of Laws of Karma for sure. This story triggered a series of thoughts in my mind. I had a very comfortable childhood, but I guess I did not imbibe ‘the giving’ virtue in true sense as I grew up. I had to deal with my own insecurities when I saw my husband in the ‘giving-mode’ all the time despite his less privileged upbringing. I decided to take an inspiration from his story. Quite honestly, it has not been easy, but the real growth happened gradually alongside my spiritual journey. It is not hard to find people around us worth emulating but we seldom take notice. Speaking of Master Ji, his is an exemplary story in itself. A former high school Math teacher in a tough neighborhood in the US, he personifies the virtue of ‘giving’. I vividly remember an incident when I had once invited him to attend a Pranayama workshop by a senior Yoga Teacher from upstate NY. After the workshop, he offered to buy a few Yoga books from the teacher. I did not want him to spend and tried telling him that he could borrow those books from me instead of buying them. With his characteristic smile, he said, “it is okay, let me buy these books. We should try to help such good endeavors in every way”. I was astonished by his capacity to share and give. I now innately understand that the opportunities for giving that come our way usually commensurate with our capacity to give and vice-versa. 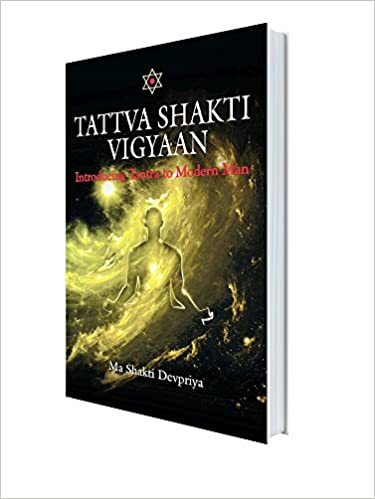 This article has been contributed by Ms. Alpana, a Yoga Teacher, a dedicated Tattva Shakti Vigyaan practitioner and founding member of Divine Path Yoga - NJ (USA), an establishment dedicated to promote Yoga and offer path for discovering divinity within. She has been gracefully evolving under the discipleship of her masters, Guruma Shakti Devpriya ji & Acharya Shri Agyaatadarshan Anand Nath ji. Previous PostMy Actions Beyond Me & MineNext PostGrowing with Karma and Grace!